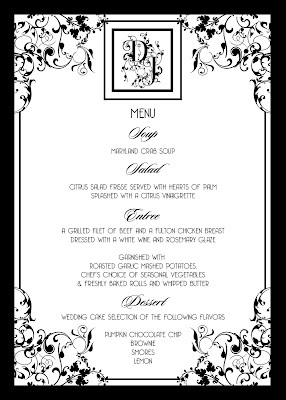 Here are a couple of more items that I recently designed for Danielle's upcoming wedding. 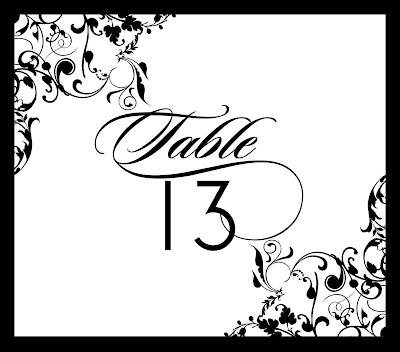 A custom menu design and table number design all created to coordinate using these whimsical flourishes in her sleek black and white color palette. So chic and fun, I just LOVE them!